Knowledge is Prevention… Action is Cure! 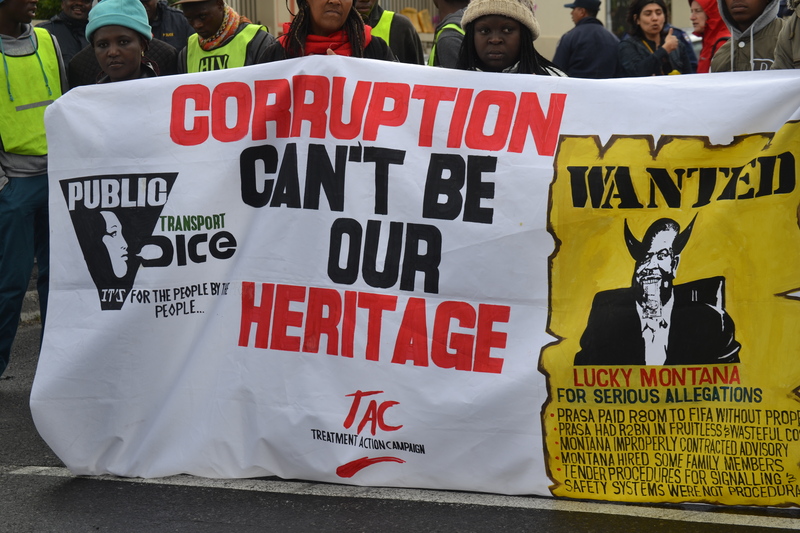 The march against corruption took place on the 30 September 2015. Large groups of people gathered around to get ready to take a stand against corruption. They were planning to march in the streets of Cape Town to make it known and to make people aware of the fact that corruption is a big problem in South Africa. The name of this march was United against Corruption. People braced the cold weather and stood in the street their with giant posters that had different messages and frustrations depicted on them. This was their way of expressing the way they felt about corruption in SA. In the atmosphere while standing there, you could pick up that people has had enough. Something has to be done. When we arrived, there were already quite a number of people gathered in front of Parliament. People from different race groups united as one to stand up against the same thing; Corruption. “People from different sectors of society has come together to get the attention of government in particular the president”. Corruption has been a problem that has just been swept under the rug for years. With this march, they want to make people aware that in our everyday lives, we are faced with corruption and you don’t even know it. “South Africans are fed up with corruption”, this statement was made by Thokozile Madonko from the Alternative Information Development Centre. She also added that it is time for government to respond to the demands of the people. “Corruption is not hidden. Corruption doesn’t have any victims, the victims we see every day and everywhere amongst us”. Did you know that one in every four South Africans go hungry? Forty percent of South Africans do not have access to employment” she continued saying “that means we have a society at its basis that cannot live and cannot breathe and that is something we should not stand for”. Phantsi Corruption Phantsi! As we were all gathered in the pouring rain, waiting on the march to commence, the march was unfortunately cancelled. It has fortunately been postponed. 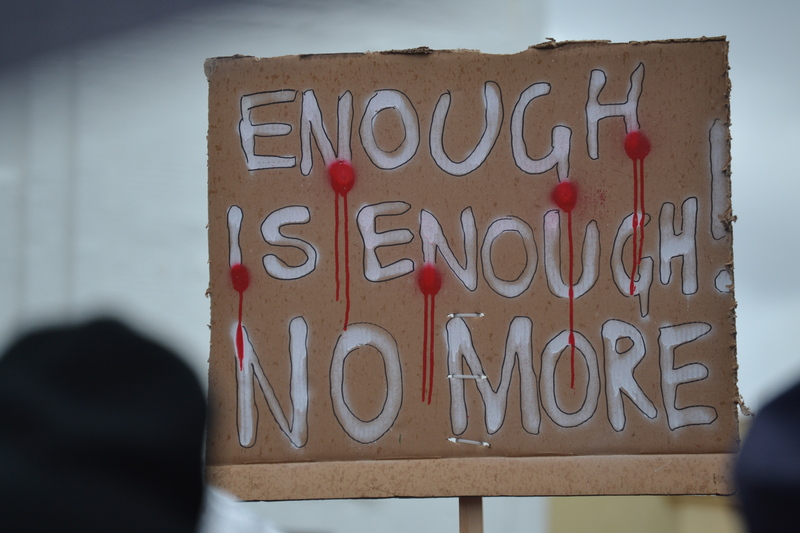 The march will now take place on the 14 October 2015.